Happy 2015 to all readers! 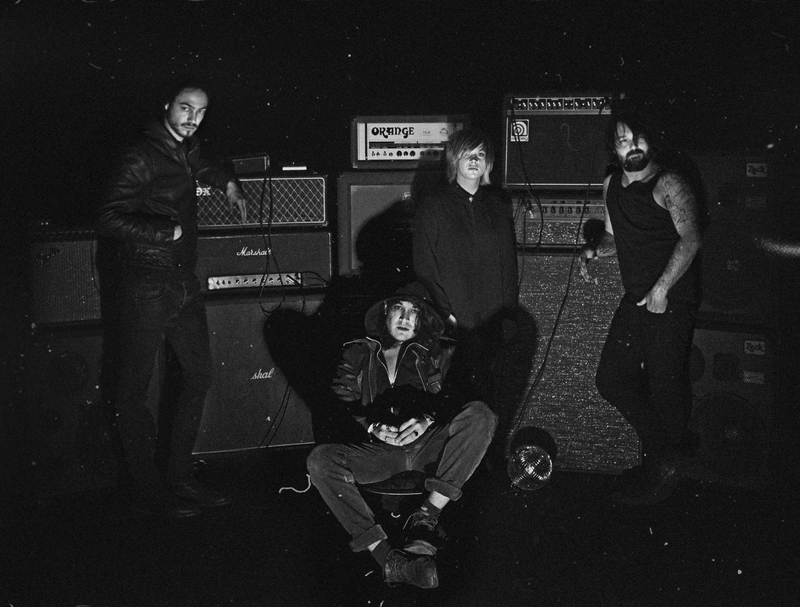 We begin the year by featuring “Walk The Line”, a free music festival taking place from 21st to the 31st January and an interview with Forks, a rock band from Vevey and on the festival’s line up. This festival showcases breaking acts in different venues in an around Lac Léman in Switzerland: The Chat Noir in Carouge in Geneva, the Rocking Chair in Vevey in Vaud, The Caves du Manoir in Martigny in the Valais and also in several venues in neighbouring France in Bourg-en-Bresse, Annemasse and Annecy. Festival Walk the Line is supported by FCMA – a Swiss based organisation that offers support to new bands. The festival also offers management classes and media communication training to six bands/ artists in partnership with the six music venues. 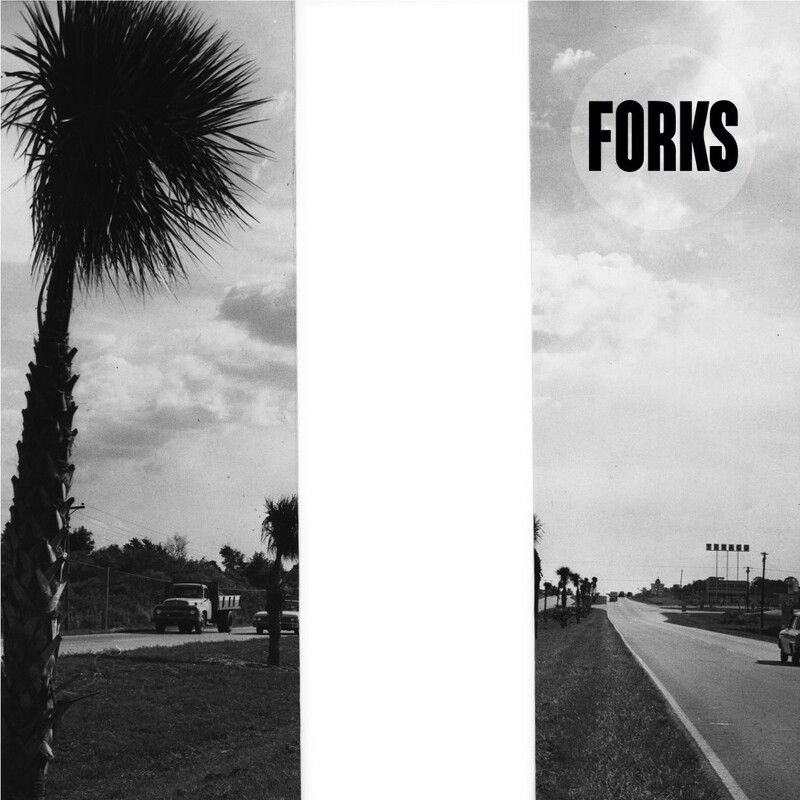 David chatted to Pacifique Vuillemin, the bass player from Forks. Walk The Line programmes a selection of Swiss and French Bands in different venues. What does it mean for your band to be on that bill? Well it’s great. It’s a good opportunity to make contacts across the Swiss border and see what’s going on over there. We imagine that some people must like what we do, if not, they wouldn’t have asked us to participate in the project. So in a way we take that as a compliment. Could you describe what Forks is all about? Who are you, where did you meet? How and when did you start to play music? Where are you from? The band started with Mehdi Benkler on guitar, Valerie Ciriolo on vocals & rhythmic guitar and Joel Bovy on vocals & drums. Joel and Valerie were friends for a long time. They used to play together in a post-punk girl band called Lick My Cherry Lips. They then met Mehdi through Julie Hugo from Swiss band Solange la Frange. Mehdi brought Pacifique Vuillemin on bass into the project at the very beginning by mistake really! We thought he played keyboard but it turned out that he played bass. They had both met in Vevey’s shool of photography where they used to study. We all live in Vevey but Medhi is from Morges and Pacifique lives close to the French border. All of us had different projects in the past such as Girls in the Kitchen for Joel, Gaya for Valerie and different live bands for Pacifique and Mehdi. Forks started in late 2012 and the chemistry between us was immediate. After only a few jams, we completed our first song. Our music comes naturally from our different influences, it’s mostly about psychedelic-live performances. None of us are trained musicians, we trust our feeling and strength to build songs with no endings, just structures. Live and improvisation are essential to us. I sense a lot of different influences from psychedelic rock to garage, noise (Sonic Youth etc), are you happy to represent those genres in your musical blend? Who are the bands that you like right now? There is the old classic stuff but we’re always discovering things that we share with each other. We all had a big crush on Goat (a band from Sweden) last year, but right now we’re listening to Ride, Thurston Moore and Wooden Shjips. The song “Ayahuasca” is a rather long 10 minute track. Some of your other tracks are over seven minutes as well, does that mean that a Forks show would automatically be a two hour long set? The length of our songs really help build the atmosphere and dynamics that we want to create in our live performances. Regarding the length of our shows, it depends on the spots, we often have a timing to respect so we manage to have 45 minutes to an hour by picking the right songs. You sing in English, would it be possible that you switch to French since you are from Swiss Romande? English has always been the language of Rock’n Roll and it comes more naturally to compose in that language. Today most of the European rock bands use English and it makes sense with the media and the internet. We don’t feel we have to do it but we might switch to French one day. There is a great psych-rock band from Vevey called Marilou, they sing in French and it sounds cool ! There seems to be a lot of praise since you began playing live. I heard that Kilbi (a music festival held at the Bad Bonn’s venue in Düdingen) contacted you to play in their venue and the radio station Couleur 3 also plays one of your songs. Are things moving fast enough for you? We are very lucky ! It’s working well so far and there are many people supporting us. We had the chance to play in most of the Swiss spots we love such as Bad Bonn and many clubs in Lausanne, Zurich, Bern, Fribourg. We plan to continue touring around Switzerland and move on from there, things seem to be picking up though because we already have gigs to play in Brussels and France. Vevey already has great rock bands and acts such as Verveine etc. However, it’s a small town compared to Lausanne, its big brother in terms of music etc. Do you have to prove yourself more coming from Vevey? What energy does Vevey bring you? Do you live, work and rehearse in this town? Vevey is a very nice place, we all live there except Pacifique who moved to Lausanne. Joel used to work for The Rocking Chair as a programmer, he now work on his own booking agency called Booty Babes Booking and he also works for Nox Orae Festival (a festival taking place in August in La Tour-de-Peilz. Mehdi is known as a rock photographer, he works for the Montreux Jazz Festival and he does art work for several bands. Valerie is a volunteer in various cultural events in Vevey such as Nox Orae and Vevey Image. Pacifique is a studio photographer and works mostly in Geneva. The town of Vevey gives a lot of support for cultural events and this summer we plan (as Forks) to organise our own event for “La Fête de la Musique” with a lot of great Swiss rock bands. Vevey is so small that it’s very easy to meet and become friends with other musicians and it helps to have support from people such as the Rocking Chair team. All these connections mean things move very fast. As for Lausanne we don’t think there is a rivalry, as it’s pretty much the same area. The Swiss Riviera music world works as one and as soon as you are in it things keep moving. 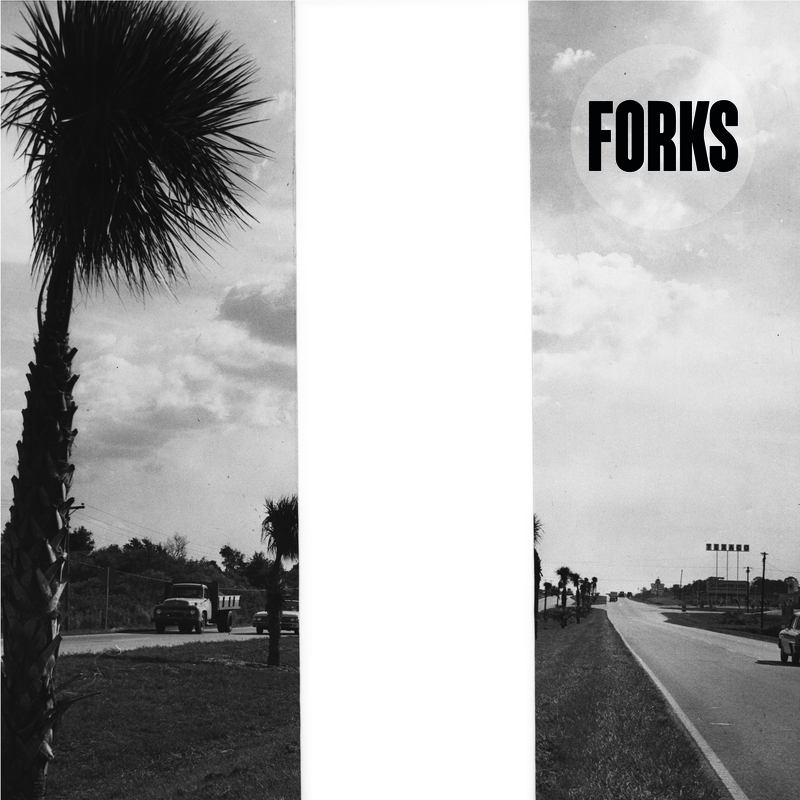 “In my opinion Forks have good taste, they certainly know how to prepare a good music blend out of rock n’roll ingredients. Their music has been a magnificent surprise to me and they play a punchy, post-punk/garage/psyche-rock mix on their first eponymous album. Hopefully, we’ll get to see the band live somewhere in Switzerland in 2015, in the meantime, check out their track “Ayahuasca” in the You Tube video below.